Summerfield Law Office offers unbundled legal services for divorce cases in Wesley Chapel and Lutz because there are many people that cannot afford an attorney to represent them during their entire case. Sometimes, Wesley Chapel divorce clients don’t need legal representation throughout the case and so we offer a choice in which legal services you want to pay for. We do this by limiting representation to the matters or issues that you, the client, chooses. Summerfield Law Office believes there is a need for inexpensive divorce and cheap child support services because clients can often perform many tasks in their case but need legal direction for other aspects. Many Wesley Chapel family law clients are nervous about appearing in court because they don’t know what to expect. 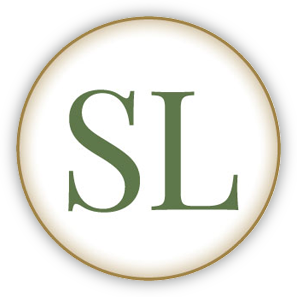 Summerfield Law Office provides advice about court procedures, how to dress, where to park and how to behave and address the judge, and what types of questions you may be asked. Perhaps you live in Lutz or Land O Lakes and your spouse is threatening you with a particular legal action and you are unsure whether or not he or she is quoting the law correctly. In that case, Summerfield Law Office can perform legal research for you and give you cases and a legal brief so that you can use it while representing yourself. You can also hire Laurel Ackley, our family law attorney, just to attend mediation or a hearing with you. Unbundling might not work for you if your Pasco County divorce case is complicated or your spouse is determined to litigate. Additionally, when you and your spouse cannot determine timesharing or disagree about how to split assets and liabilities, you may need to have a Wesley Chapel divorce attorney represent you throughout your case. However, when you have limited funds and you and your spouse want to minimize your time in court, Summerfield Law Office can work with you on an affordable family law case.